Entertainer Chris Linn teaches easy to do amazing and wacky tricks, stunts, and gags. 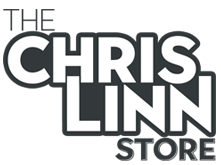 Award-winning comedian / magician, Chris Linn, teaches you simple magic tricks, stunts and practical jokes that you can do at home, school, work, or at a restaurant. Everything that is taught can be done with common household items, or with the included “special” cards. Easy to learn. For ages 10 – Adult. Each DVD includes special cards, and a “Be Nice or Disappear” sticker. Please note that our media return policy does not allow for returns of opened DVDs or other media products. Damaged or faulty DVDs may be exchanged for same title only.